« Who invented the spacer.gif? 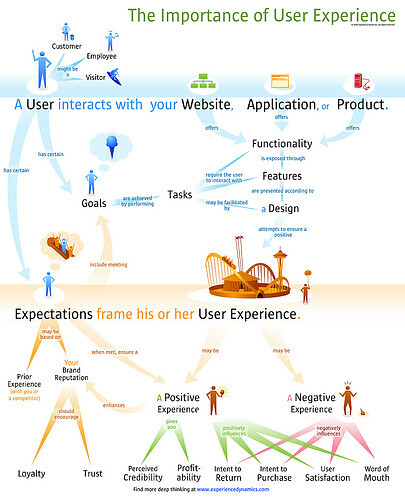 Bryce Glass (soldierant) and Frank Spillers have created a stunning diagram on User Experience (Via Column Two). I really like the visualization and I think it relates with some of the issues in my January 15 post “User Experience. Clear and easy-to-use definition needed“. This entry was posted by Jesper Rønn-Jensen	on Monday, March 6th, 2006 at 11:23 (GMT-1)	and is filed under Usability. You can follow any responses to this entry through the RSS 2.0 feed. Both comments and pings are currently closed.